Mario Badescu is the name that continues to transcend generations and span the entire life-cycle of skin: from powerful acne solutions to potent anti-aging treatments, we customize regimens for every skin type and concern imaginable.Simple, gentle and effective is our philosophy—and for that, we’ve become a touchstone of quality skin care. Revitalize skin with dewy radiance. Whether spritzed for a hydrating boost or mid-day pick-me-up, our cult-favorite facial spray helps revive dehydrated skin anytime, anywhere. It's a rejuvenating mist infused with herbal and botanical extracts (like Aloe Vera, Gardenia, Rose, Bladderwrack and Thyme) that help soothe and re-energize skin—giving it a healthy, radiant glow. To give your makeup a dewy finish, spritz your favorite brush or sponge before blending in foundation or concealer. Once you're done, mist your face as a final step to add radiance. For an extra refreshing and cooling boost, store the bottle in your refrigerator. The product comes in a white coloured(transparent) plastic-bottle.It has a product-dispensing nozzle attached.So hygienic.Once pressed,the nozzle dispenses appropriate(enough) amount of product at a time.We need to spray 2-3 times(as per your liking) to cover an entire face.All the details like product quantity, ingredients,shelf-life,how to use etc are present on the packaging. The packaging is very compact and travel-friendly. Yay! There are different sizes available which is really cool.I love love love the packaging! 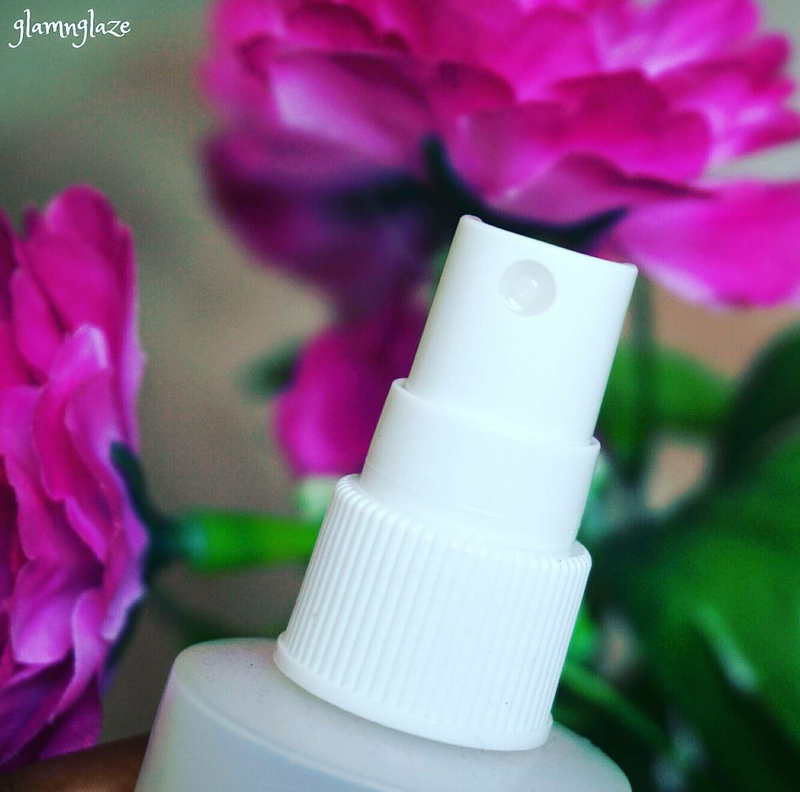 The orange-coloured face mist has a very fine texture and it spreads evenly on the skin.Not runny...unless we spray more than the required amount.Love the formula it's really soothing and keeps skin moisturized. The product has very nice fragrance.It smells just like a mixture of fresh roses and aloe.Pleasant... smells great!It is not strong and after few minutes the smell fades away.Nothing bothersome.If you have sensitive nose...relax...you will hopefully enjoy this product. Firstly,the product spreads evenly and gets absorbed into the skin(face/neck) within two minutes or so. When the product sets,it clearly gives out a very glowy skin-effect(dewy) which looks amazing. The product feels very-light on the skin. It never made the skin look overly greasy or oily...just gave the right amount of the suttle glow. Love using it as a moisturizer.Works fine. Can be used as a toner and it keeps skin clean...love it. It's very easy to apply...anytime.Leaves the skin feeling fresh.It can be sprayed easily on the go.It rejuvenates the skin...seriously! I won't suggest using this product as a makeup setting spray (as claimed by the brand), because this feels kinda sticky and might spoil your makeup(in my opinion). One bottle would last for about two months (max) if used regularly. 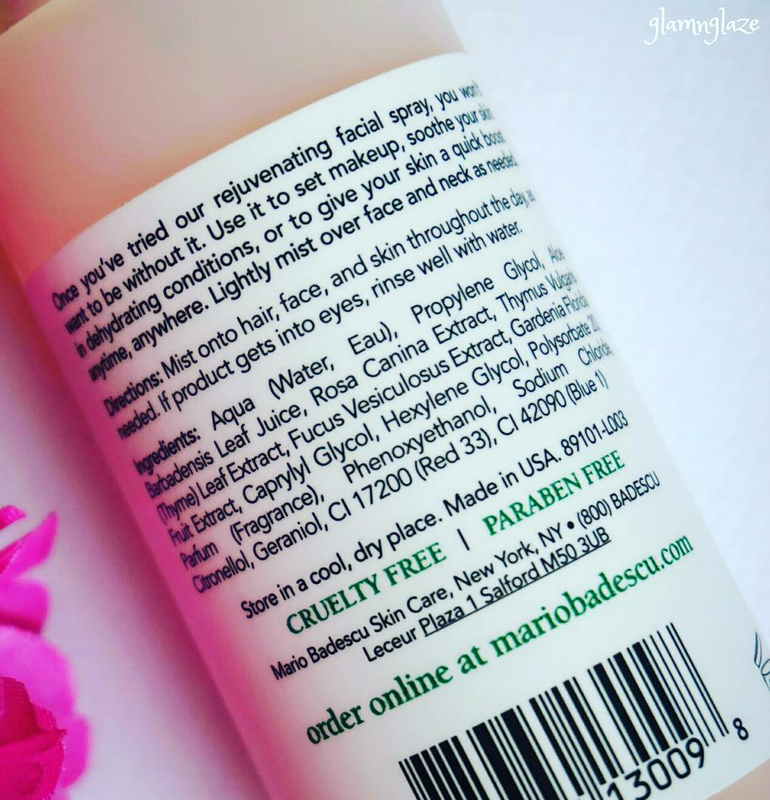 If you spray the product and touch your skin in let's say a minute you will feel the stickiness/greasiness...it takes time to get absorbed into the skin.So, give it some time to get totally absorbed into your skin. 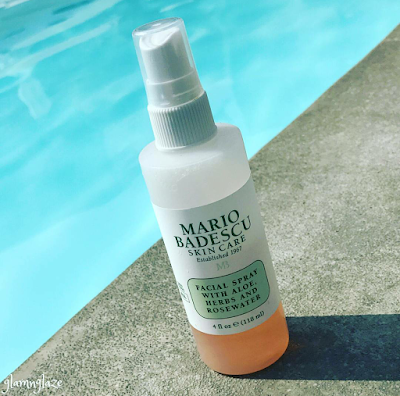 Overall, I would like to say that the Mario Badescu's facial spray is simply amazing and works well. Every time I spray this product on my skin, I feel great and delighted. It literally awakens and uplifts my mood as it smells great. Highly recommend it. Have you tried this product? Which is your favourite skincare brand. Do share.